Not All UK Projector Enclosure manufacturers are the same. Know the facts regarding UK projector enclosure manufacturers, they are not all the same! These facts will save you money and help you to retain your customers! ProEnc the leading UK and global projector enclosure manufacture. Facts to check for UK projector enclosure manufacturers. · Can the UK projector enclosure manufacturer provide a quote within the same day? Compared to Proenc. · How does their price compare? If it's higher, this is a sign that they are outsourced the production and passing the costs on to the customer. · What's the lead time, usually businesses that outsource, quote 4-6 weeks for their standard products. Other issues are the constant change in competitors designs, this indicates that the solution they provide is not fully efficient in the field. For instance, look at the hinges ,have they changes? Has the size got smaller but the numbers increased-previous hinges 3" wide and 2 off now 1" wide and 3 off? This proves the design is not fit for purpose and not really proven, this puts any investment at risk. Another point to remember and ask the potential supplier, is who has the manufacturing experience? What qualifications do they have? As a times served sheet metal engineer, any real manufacturer will not have an issue providing qualifications proving you are dealing with a real manufacturer. If anyone tries to avoid the answer, move on you will be scammed! Why is all this important? Well if something goes wrong and you are dealing with a real manufacturer they can rectify any issue, yet someone who out sources the manufacture will have to pay the actual manufacturer to fix the problem, cutting into the resellers profits and this is something they will be reluctant to do. Another point to consider is when a custom enclosure is being made, what material to use? Mild steel painted may be fine for inland applications, but not suitable for coastal use. Now the challenge is what material to use to prevent corrosion? Stainless steel is the best option, but their are 2 types and each type has 3 grades depending on use. Picking the wrong grade can result in the material rusting or resulting in the solution being too expensive. If you want to know about stainless steel projector enclosures contact ProEnc and ask for Graham, he has 27 years manufacturing products from stainless steel and will be able to provide the most effective solution. ProEnc's product portfolio can be seen at http://proencltd.com, if you require something special there is a custom request form, just complete it and email it to us and we will get the most cost effective proposal to you. Proenc Limited are an established manufacturer of protective housings used by leading audio visual integrators. Conservational projector enclosures are intended to care for projector from climate and vandals in open-air atmospheres. 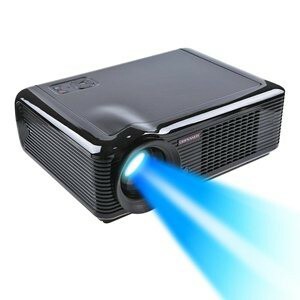 Being as an educational consultant or marketing assignment writer - http://www.assignmenthelpfolks.com/marketing/ at Assignment Help Folks, I think all projector enclosure manufacturers are not same because if we want something special in our projector like Separate audio system, so as our custom request manufacturer are designed special projector for us. Thanks. At this blog you can find lots of helpful articles on the thematic of writing and tutorials to master your writing. The board will release the result officially on its website- Check UP 12th Result 2019 by SMS. However, we will also provide here a direct link of the desired result as per the official declaration.